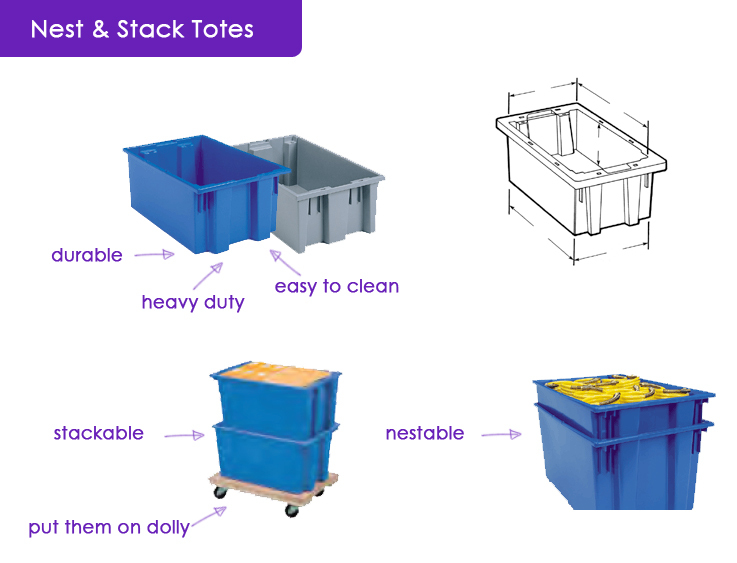 When Akro-Bins or Stack N Store bins don’t fit your heavy duty industrial need, you may want to look at the Nest & Stack Totes (NST’s). As the name suggests, these totes are heavy duty, durable, nestable and stackable with or without lids. These are awesome! Very useful for School Stuff like backpacks at the door.